We teamed up with a local pottery company to bring you our handmade ceramic mugs are truly one of a kind. Each mug has an individual unique glaze so no two are the same. 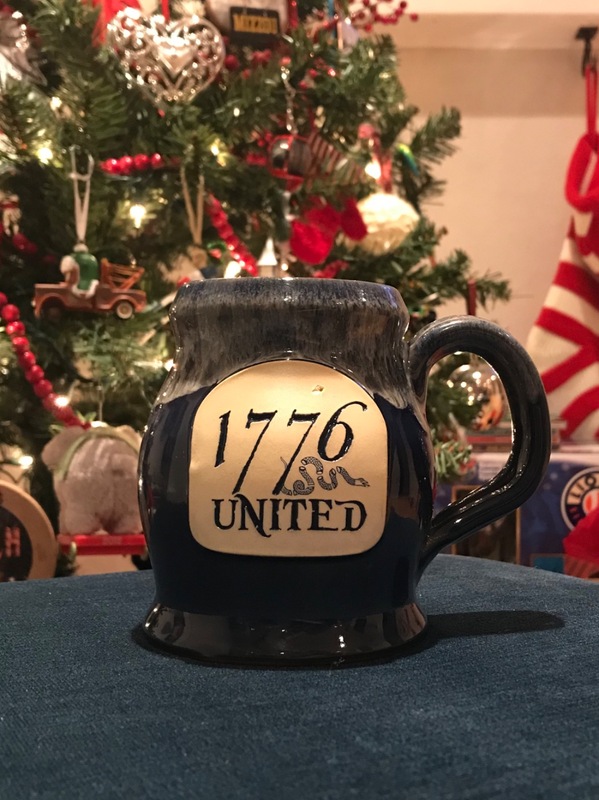 Our 1776 United® Patriot Mug has a Navy Blue base with a white glaze drip along the top and our 1776 United® Logo on the front. I bought this as a birthday present for my son and he loved it. This mug is great. Perfect size, the tapered top holds the heat in better, and it’s very patriotic. I love it. 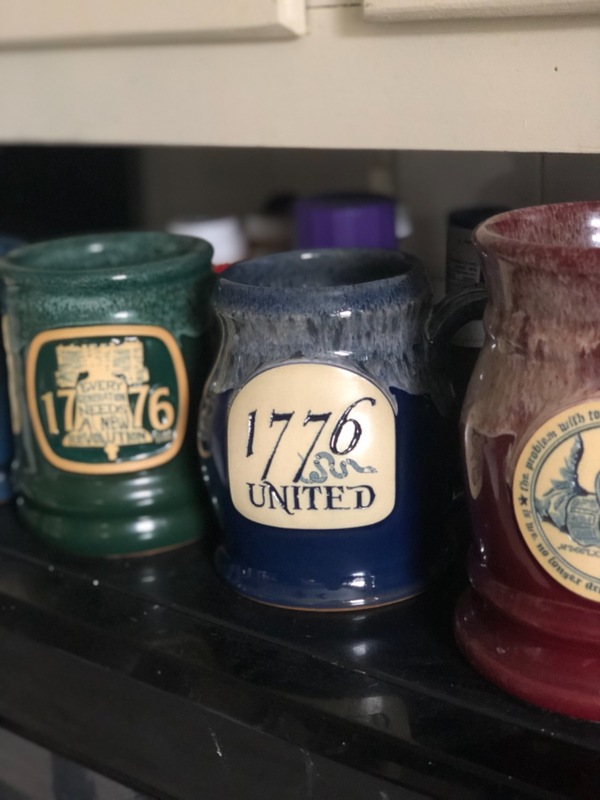 I ordered One of each of your mugs for my husband for Christmas and Christmas morning when we opened gifts, I was surprised because he had bought the same mugs for me for Christmas. we love them. 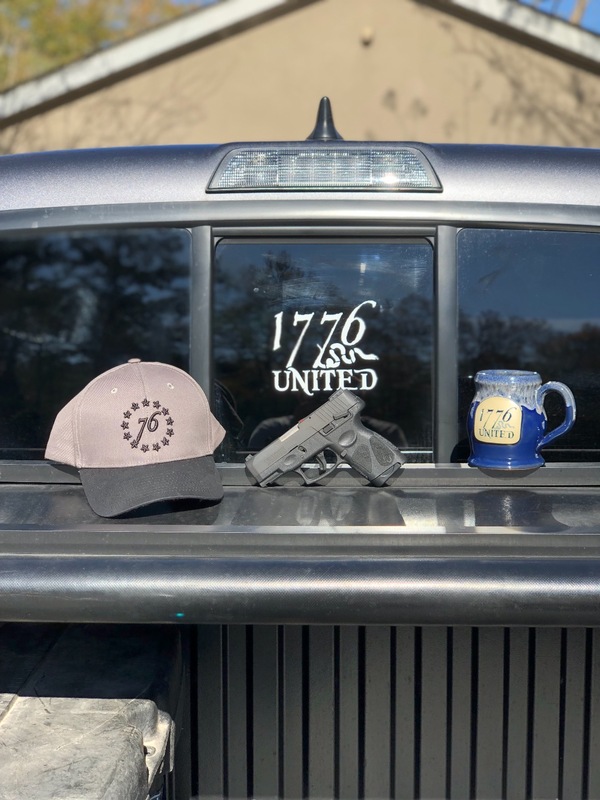 We love everything we have ordered from 1776. Delivery is always fast and the quality is always great. These mugs stay cool to the touch while keeping my coffee warm. 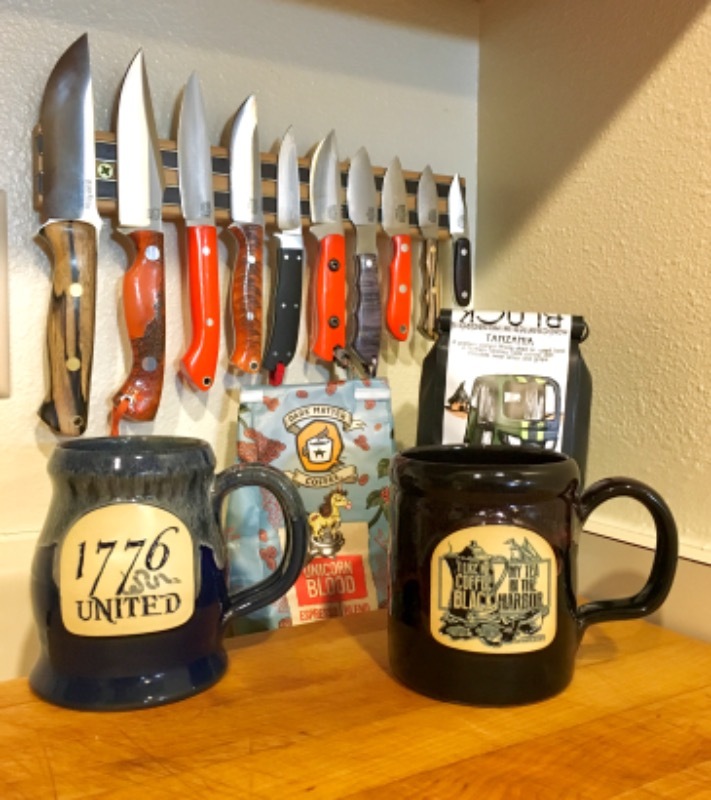 They are unique and make great additions to our Mug collection. I gave this mug to my husband for Christmas and he absolutely loves drinking his coffee out of it every morning! 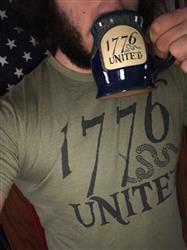 He loves the quality of the ceranmic and the color of the mug! 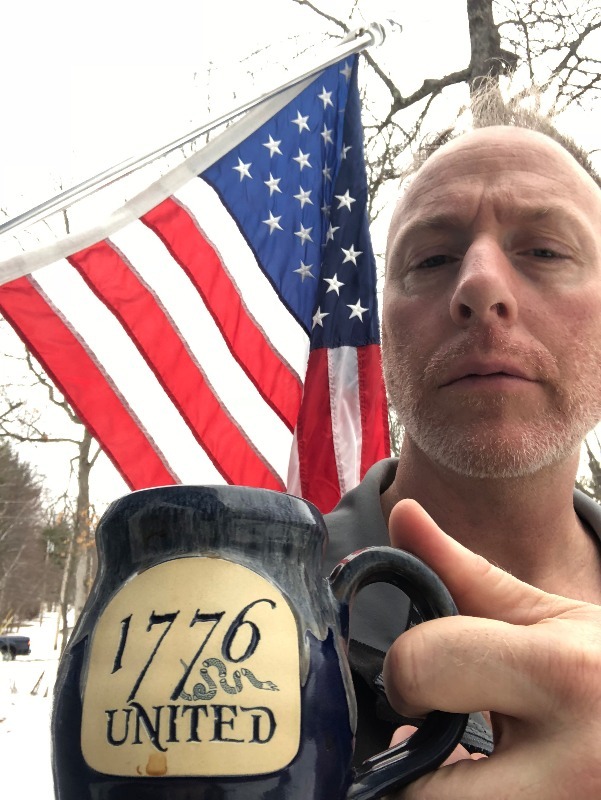 Thanks for making an awesome mug 1776! 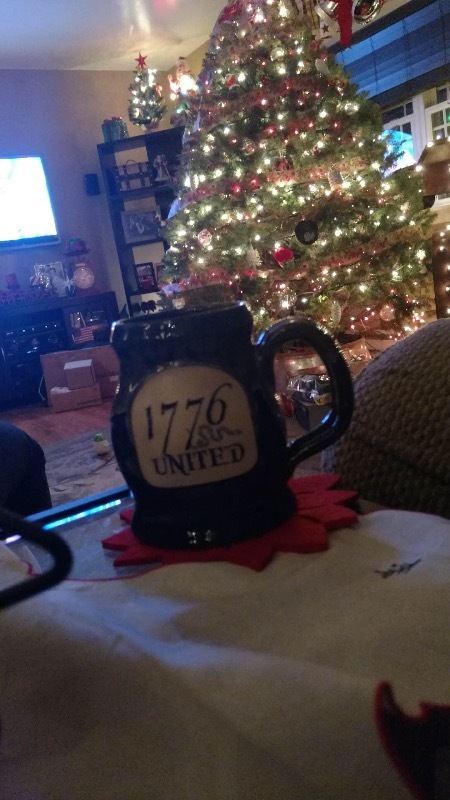 I love this mug along with my other 1776united mugs. I have noticed the company uses Sunset hill stoneware and Deneen pottery to make different mugs. I would like to see the company list the manufacturer for each design. My personal preference is Deneen but Sunset Hill does make a good product.